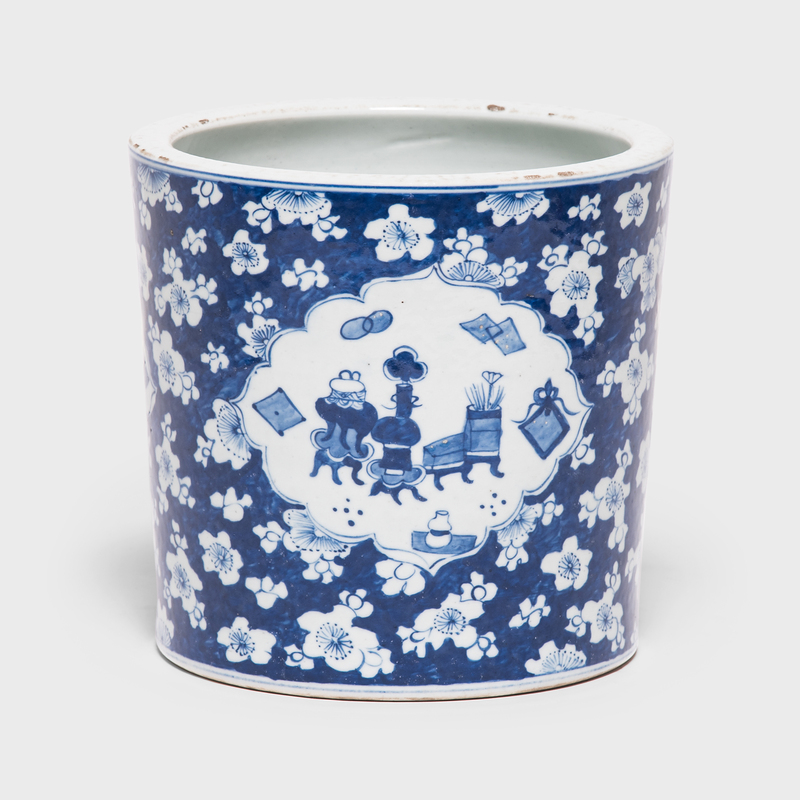 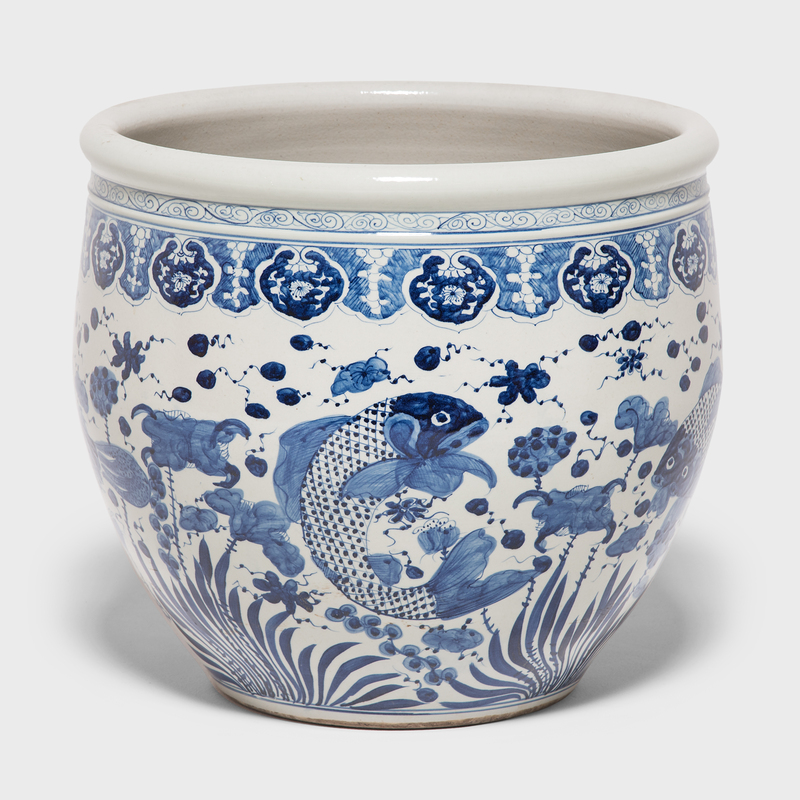 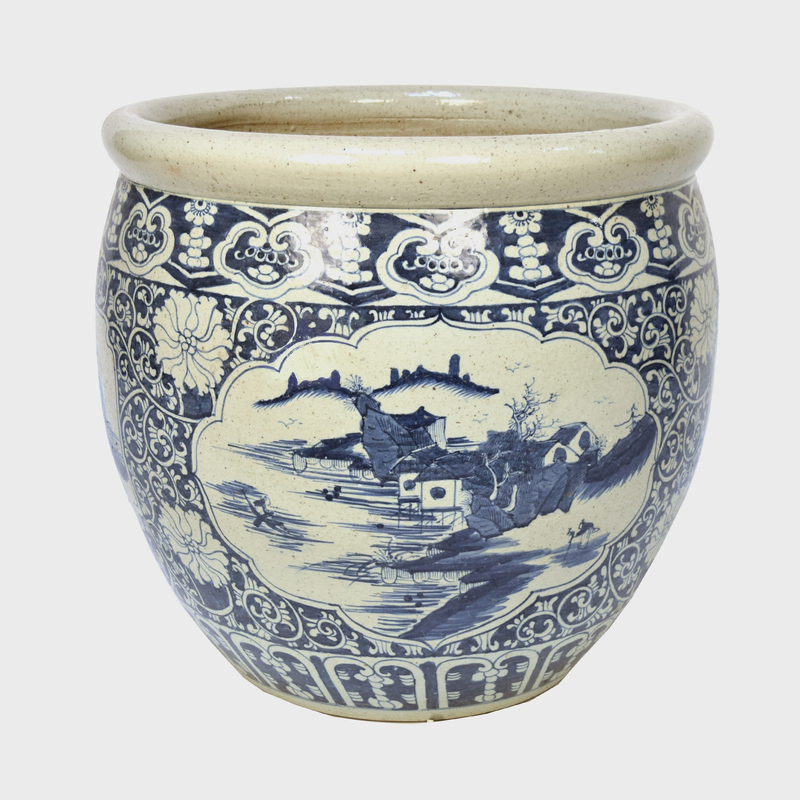 This contemporary Chinese blue and white vessel was hand-painted with birds, flowers, trailing vines in a brilliant cobalt blue glaze against a creamy white background. 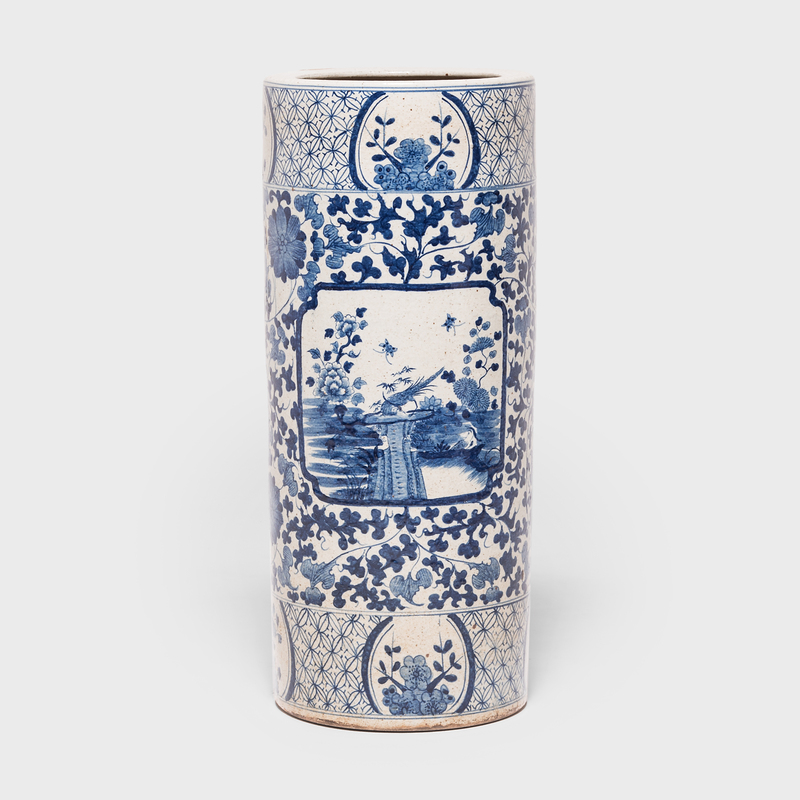 One side of the vessel bears a traditional landscape painting, known as a "shan shui," while the other side depicts two pheasants standing amidst flowers, symbolizing of beauty and good fortune. 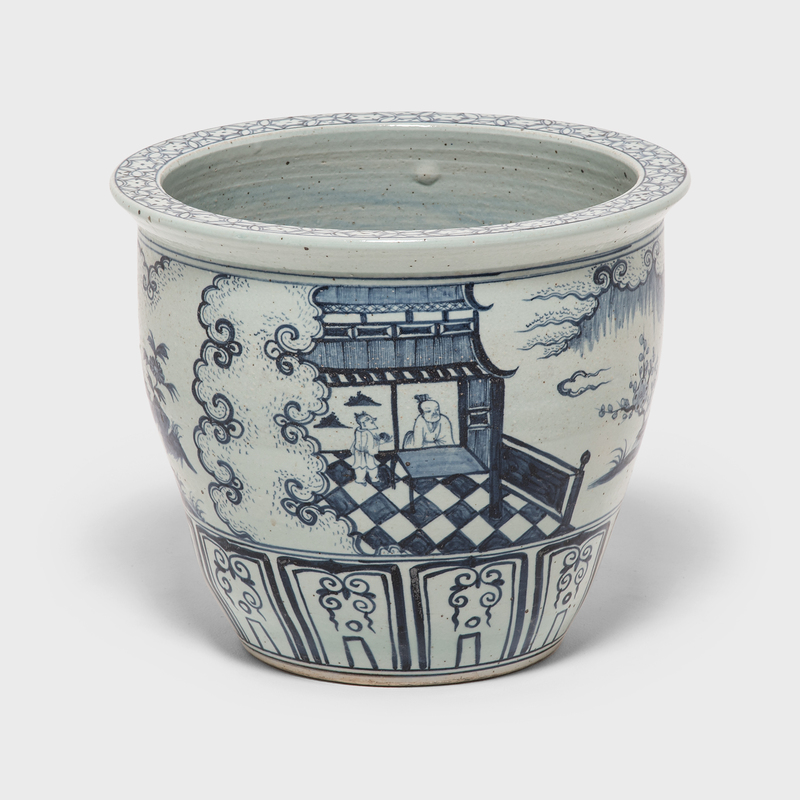 The vessel's cylindrical shape is based on scroll pots, tall vessels intended to store and display a scholars' many painting scrolls.